So you’d like to set aside some money for your children. Perhaps you want to build an early inheritance or, more likely, you’d like to get a jump on their college fund. In either case, you’ll want to know about Uniform Gifts to Minors Act (UGMA) and Uniform Transfers to Minors Act (UTMA) accounts. Both are types of custodial accounts, which allow adults to transfer assets to a minor, but they work in slightly different ways. Here’s what you need to know about UGMA vs. UTMA accounts and how to choose between them. UGMA and UTMA accounts are custodial accounts that adults can set up for minor recipients. They effectively serve as a trust that holds the assets during the recipient’s childhood. You can deposit almost any form of financial product in these accounts, such as cash, stocks or bonds. The account, both its principle and any investment return, becomes the property of the recipient when he or she reaches the age of majority, which is typically from 18 to 21. This is an irrevocable transfer. Once you deposit funds into a custodial account under either of these laws, you cannot access or withdraw the money. It becomes the property of the minor recipient. The recipient also cannot access the money until they come of age. You cannot specify a purpose for the UGMA or UTMA account after the recipient comes of age. The money becomes theirs free of all encumbrances and conditions. The account custodian manages any investment assets in the UGMA or UTMA account. The custodian can also withdraw funds to cover expenses related to the welfare or education of the minor recipient. You can name yourself custodian of the account, although that does not change the irrevocable nature of the transfer. Another option is to have a professional asset manager take charge. A UGMA or UTMA custodial account is a common vehicle for college savings plans. It allows parents to build a dedicated account for their children in a way that is often tax-advantaged and beyond the reach of any third-party events. Both of these accounts are largely similar in operation and intent. However, there are a couple of key differences between UGMA vs. UTMA accounts. The primary difference between these two accounts is in the asset makeup of the account. A UGMA account is limited to purely financial products such as cash, stocks, mutual funds, bonds, other securitized instruments and insurance policies. A UTMA account, on the other hand, can hold any form of property, including real property and real estate. A parent could put their car into a UTMA account if they so choose, or the deed to a family home. The second key difference between UGMA and UTMA accounts is related to state adoption. All states have adopted the UGMA. On the other hand, Vermont and South Carolina do not allow UTMA accounts. Donors should examine state law carefully, as the specific implementation of both the UGMA and the UTMA can differ from state to state. Why Create UGMA and UTMA Accounts? There are three key reasons to create a UGMA or UTMA custodial account. The first is simplicity and security. This account is a statutorily defined trust. It allows a parent to set up a long-term trust for their child without having to pay for lawyers or formal custodians. In doing so, the parent can segregate a basket of assets dedicated to the child. While the parents can no longer access that money if the family needs it — for example, in the case of a job loss or medical events — the money is also safe from creditors, other family members and any other third parties. Another upside to UGMA and UTMA custodial accounts is that they allow you to transfer ownership of financial products. A UGMA or UTMA account is one way for parents to transfer securities to a minor child. While they can move cash into a child’s name with relative ease, the law prohibits children from entering into binding contracts. This makes many more complicated financial products difficult to transfer without a trust structure. A UGMA or UTMA account allows you to transfer ownership of products like a mutual fund or an insurance contract to a minor. Finally, an account like this simply keeps money out of the hands of teenagers. A parent or guardian who creates a UGMA or UTMA account may want to ensure that the account remains solvent when their child reaches adulthood. Putting it in a secured trust makes sure that no one, including the child beneficiary, can withdraw the funds early. It prevents concerns like careless spending during youth or adults taking advantage of a child. UGMA and UTMA accounts are not tax-deferred assets. All gains on investment properties are taxed as normal, and the creator of the account may choose to pay these capital gains taxes on behalf of the recipient. 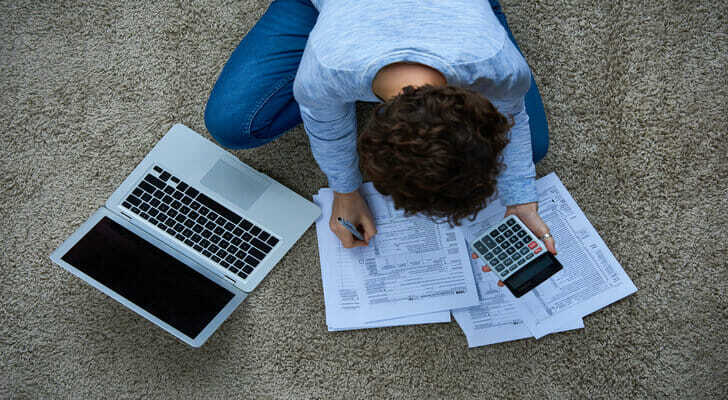 The parent or guardian may have to file a tax return on behalf of the minor and/or dependent child if the returns on the UGMA or UTMA account exceed the IRS’ income threshold. There are potentially some tax benefits to UGMA and UTMA accounts though. The details of the recipient’s dependency status and income define how the assets in UGMA and UTMA accounts are taxed. However, in many — if not most — cases, any returns in the account are taxed at the recipient’s tax threshold. Since the recipient is a child, this can translate to significant tax savings compared to if those gains were taxed at the parent’s (presumably much higher) income bracket. UGMA and UTMA accounts are types of custodial accounts, which allow an adult to store and protect assets for a minor until he or she reaches the age of majority. Though similar in number of ways, there are differences to consider when comparing UGMA vs. UTMA accounts. These boil down to the asset makeup of the accounts and state adoption, as not all states allow UTMA accounts. 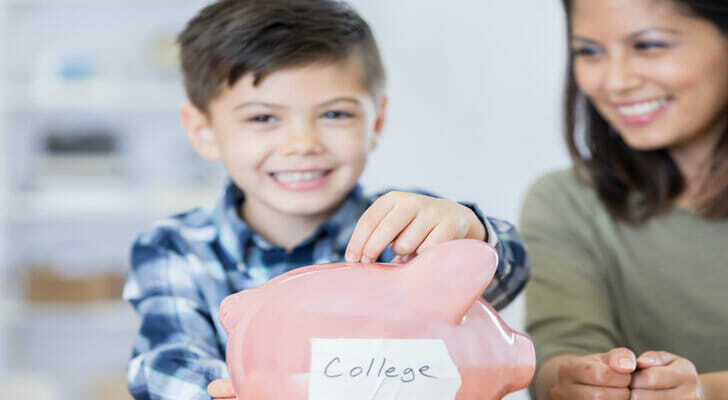 There are potentially some tax-related upsides to UGMA and UTMA accounts, but remember that these are not tax-deferred assets like some other types of college savings vehicles. Work with a financial advisor. Many financial advisors offer college education planning, and they can help you with everything from setting up a 529 plan to optimizing your savings. SmartAsset can help you find a financial advisor who meets your needs with our free financial advisor matching service. All you have to do is fill out a brief questionnaire. We’ll match you with up to three advisors in your area based on your answers. Another option for saving for your kid’s college education is a 529 college savings plan. You can use this tax-advantaged savings vehicle to stash up money to cover higher education expenses. Unlike UGMA and UTMA accounts, however, you can’t store financial products or real estate in 529 college savings plans. The post UGMA vs. UTMA Custodial Accounts appeared first on SmartAsset Blog.